Great product at a very reasonable price. Quality is first rate. Easy to adjust. I love the minimalist but very functional design. In der Praxis die besten Maghalter die ich bislang hatte. Perfekt und schnell! Awesome product. Use 2 per belt for stripper mag and first mag loaded. Лучшее решение на данный момент! Удобно, низкопрофильно, плотная посадка всех паучеров, полный глубокий хват, быстро. Ich habe die CZ-Version gekauft und bin vollauf zufrieden! Das Magazin hat weder Spiel, noch macht es irgendwelche Annstalten vollgeladen herauszufallen. I bought the CZ-Version of this Product and it's perdect! 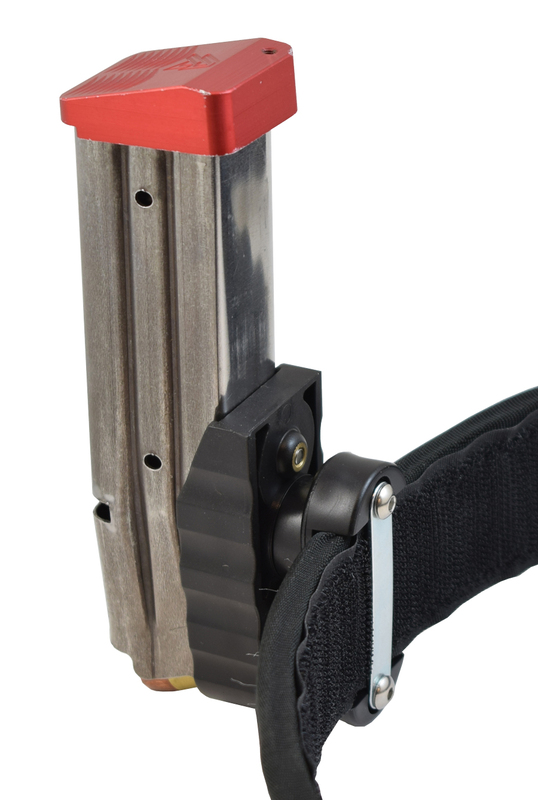 The magazine has no space to budge and even loaded with 19 rounds sits firmly in the mag pouch. Building on the success of the Magnetic Single Stack Pouch, we are pleased to offer the same configuration in two new models, a 2011 wide body and a CZ/TAN double-stack magazine size. 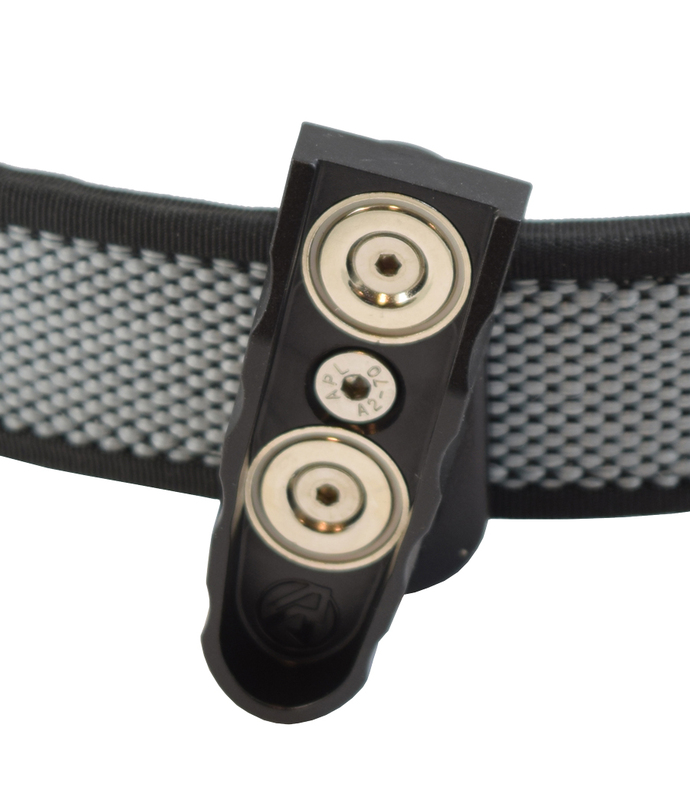 Two 20 mm-round magnets hold the magazine firmly inside the pouch track, allowing for secure retention and yet enabling a smooth and effective magazine release. 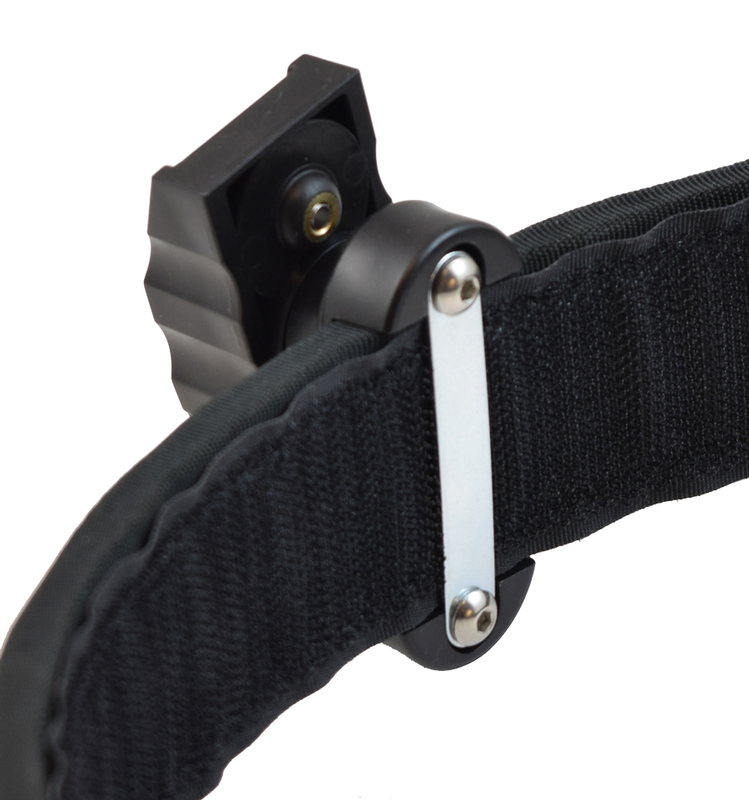 The base on the pouch is the same as used in the Racer line, providing for two height positions and a step rotation adjustment. 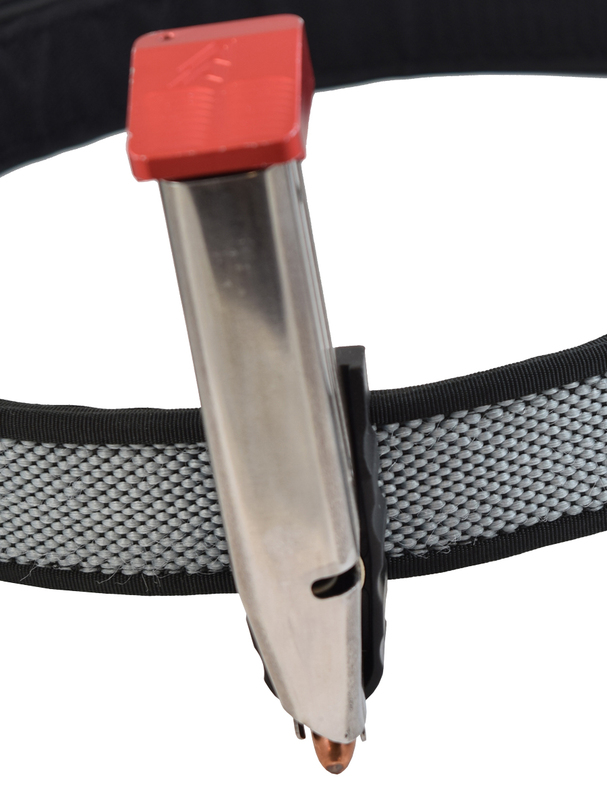 The thin steel plate at the back of the belt-hanger minimizes separation between the inner and outer belt. Perfect for these pouches, which are often mounted close together on the outer shooting belt. 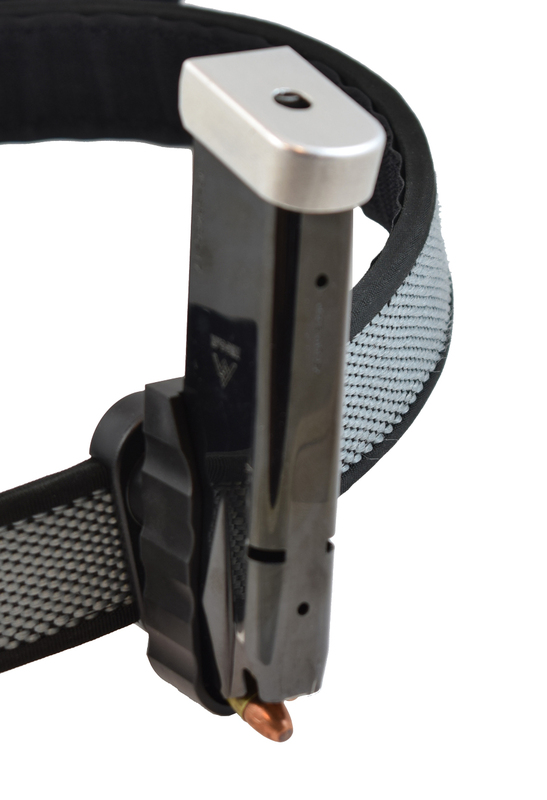 This pouch configuration is ideal when wanting to mount pouches close together and allow easy access to multiple magazines without having to reach too far back.